Looking for a way to give back to the shooting sports community? 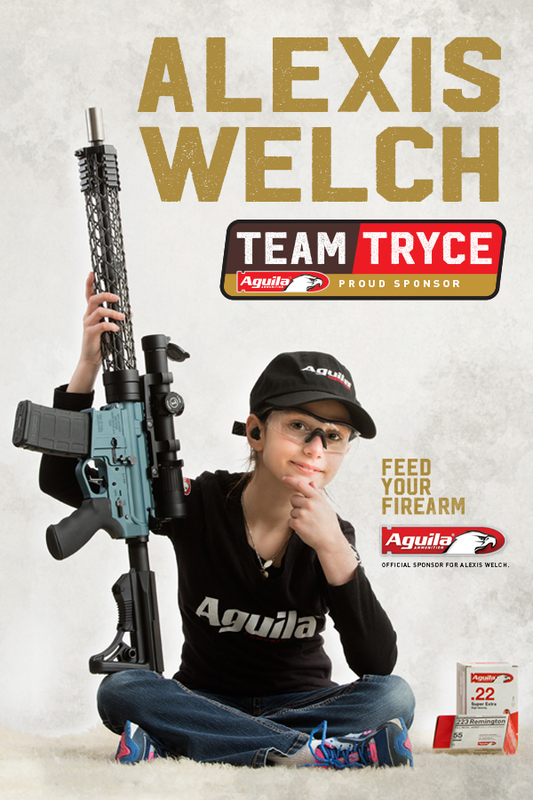 Our friends at Aguila Ammunition could use your help to help further the shooting career of 8-year-old competitive shooter Alexis Welch, who Aguila sponsors. Alexis, who is also a TANDEMKROSS sponsored shooter, may be young, but she is tough. In her second year competing she has gained publicity due to her young age, small size and incredible shooting skills. She’s a well-known face among the TANDEMKROSS sponsored shooters, and is always a joy to have at matches. Sadly, Alexis lost her grandfather Tryce- who taught her to shoot, coached her and brought her to matches- last spring in a car accident. To help ensure Alexis is able to continue competing and growing in the shooting sports, Aguila has set up a scholarship fund in her name. To help raise money for the scholarship fund, Aguila Ammunition created “Team Tryce” gear available for sale on their website. Buy a Team Tryce hat or patch and all proceeds will go toward the scholarship fund, and help a passionate young shooter continue to grow in the shooting sports. We’re encouraging all TANDEMKROSS fans to get some Team Tryce gear and do your part to support Alexis! Click here to shop Aguila’s store.Click here to read more about Alexis Welch on the Aguila website.